This year more than 60 countries worldwide will participate at the WWD at least with one national walking event. The list of countries ranges from France and Poland via Togo and Kuwait up to China and Australia. All in all more than one million people are expected to actively participate at this year's WWD. On the occasion of the 4th Busan TAFISA World Sport for All Games, 26.9.-2.10. 2008 in South Korea, the official opening ceremony of the WWD 2008 will be on Sunday, September 28, 2008. Busan will take the lead in 2008 and have a WWD event with 30,000 people walking along Haeundae Beach. Moreover, the World Walking Day will be organized in cooperation with ESFAN and ASFAA as well as the International Nordic Walking Association (INWA) and the International Marching League (IML). In today's technological and mobile society where millions of people own private cars and sedentary life patterns are predominant, walking is riding a wave of popularity. It draws its strength from a rediscovery of walking's utility, pleasures and health-giving qualities. Back to the roots seems to be the motive for many who are aware of the importance of walking as the basic physical activity, vital for well-being and health.Walking as a mass phenomenon occupies a dominant place in the world of active living! 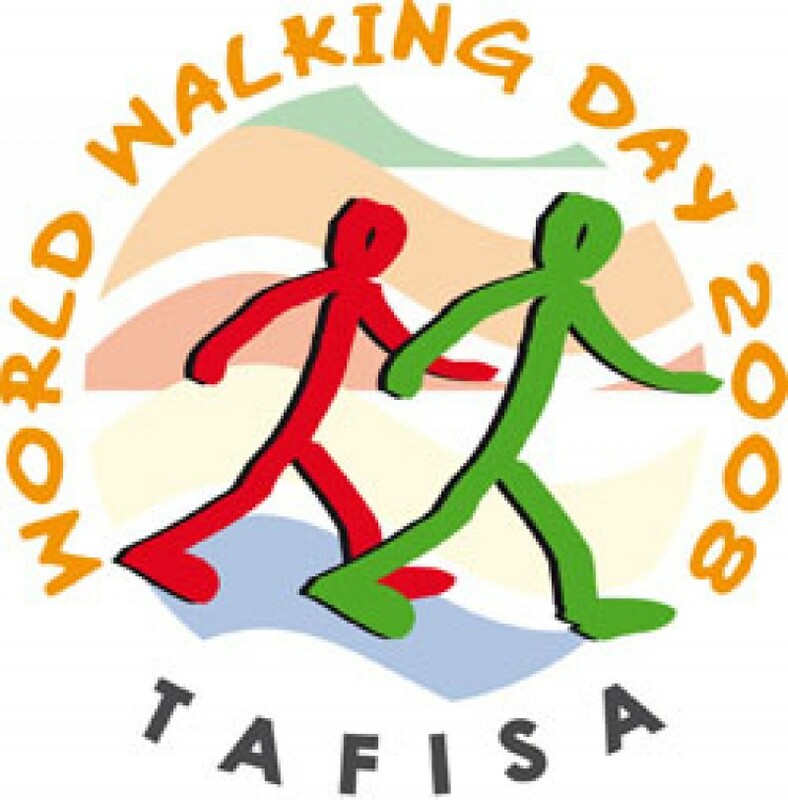 The World Walking Day (WWD) merges the manifold efforts in the field of walking worldwide and stands for the common aim of TAFISA member countries and organizations from all continents to present walking as a worldwide movement above all as a means against obesity and inactivity. The World Health Organization (WHO) has officially recognized the World Walking Day and gives morale support to the event by linking it to its on-going global annual initiative "Move for Health". The WWD is fundamental as the world faces the issues of global warming, terrorism and obesity. Walking together locally, nationally and internationally can help contribute towards the solution of all these problems. 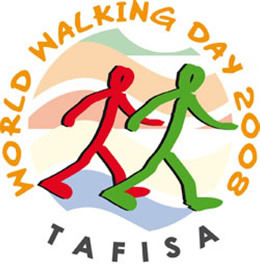 TAFISA's official launch of the World Walking Day was on the occasion of the Earth Summit in Rio de Janeiro, June 7, 1992. Since then the event has been growing steadily in numbers of events and participants.